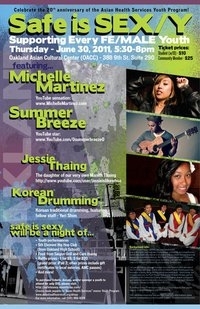 “Join Oakland Asian Cultural Center as we celebrate the Year of the Dragon with cultural performances, arts & crafts for the kids and workshops for the whole family! This event is FREE & OPEN TO THE PUBLIC! Make a Japanese Paper Doll, create a Year of the Dragon Mask, build a Korean kite and more! Your youth will get a fun, hands-on experience on how various Asian cultures celebrate and ring in the Lunar New Year! “OMCA ‘s 11th annual Lunar New Year Celebration and Other Asian Traditions: Year of the Dragon features a full afternoon of celebration, festivities, performances, demonstrations, and workshops that include elements of Chinese, Korean, Vietnamese, Japanese, Tibetan, and other Asian cultures . Treat the whole family to a fun, fortune-filled family event to welcome The Year of the Dragon. The celebration gets off to a roaring start with a lion dance. The day is filled with music and dance; performances by the Red Panda Acrobats and Cambodian rapper RJ Sin; magicians and Japanese mochi pounding; storytelling; Chinese-opera face painting; a demonstration of making a Tibetan prayer flag (and the chance to make one to take home); hands-on family activities; demonstrations of Asian cooking; a reading and book signing by Oliver Chin of his new book Year of the Dragon; and so much more. Plus a rousing end to the day with a Dragon dance! “Learn and explore fundamentals of Butoh with Judith Kajiwara, Oakland Asian Cultural Center’s 2011/2012 Artist in Resident. Butoh is a slow-motion, focused improvisational dance form that originated in Tokyo, Japan in the late 1950’s. Each class will focus on a specific element of Butoh dance. You’ll increase your capacity to express from your inner awareness as you work individually and in an ensemble. Wear comfy, loose clothing and be prepared to dance in bare feet. “Come warm your body and soul. We will make two down-to-earth Filipino soups perfect for the cold season, from the ginger-inflected tinola, to sinigang made deliciously sour with tamarind. Keeping in the spirit of all traditional foods, we will incorporate seasonal produce. Following the workshop, we will share our meal and informal conversation on Filipino foods in the US, the loss and preservation of recipes, and adapting foods into kitchens far from homeland. *Vegetarian options can be made. REGISTER ONLINE TODAY! SPACE IS LIMITED! “As a follow-up to our very successful APA Heritage Month Closing Night Celebration back in May, we are now planning an end of the year celebration and we hope you will join us! Oh, and we almost forgot to mention that there is no cover charge! All are welcome so please help us spread the love by inviting your friends to attend too! Guests need not be over 21. “The reading will feature prose, poetry, and music. Performers include: Dickson Lam, David Maduli, and youth from the grassroots organization Serve the People (STP). We will also be displaying art and selling t-shirts as well! Proceeds will benefit STP. No one turned away for lack of funds. *Dickson Lam earned his MFA degree in creative writing from Rutgers-Newark University and is also a graduate of UC Berkeley and Columbia U…niversity. He has taught in small schools in New York, Oakland, and San Francisco and was a founding teacher at June Jordan School for Equity. He is currently writing a memoir about growing up Asian American in a public housing project in San Francisco and trying to father himself the best he could with an absent father. *David Maduli is a veteran public school teacher, active deejay in the Bay Area music scene, and published poet. He has received degrees from UC Berkeley and Harvard Graduate School of Education, and is an alumni of Voices of our Nations Arts Foundation (VONA) summer workshop for writers of color. He is in the process of completing his debut collection of poems. *Donna Nguyen is a singer who loves thrill rides, bright colors and works on being a boss. Graduated highschool and will be attending cal state northridge upcoming fall. *Sarn Saechao is a young Mien poet from Oakland. He’s currently a student at Merritt College and a young adult member of STP. In his spare time, he can be found singing and playing his guittar. * Human Trafficking- What is it, how does it affect my community, and what can I do about it? * Healthy Living and Nutrition- Americans’ waistlines are getting bigger which leads to major health problems. Some people go to potentially dangerous drugs or eating disorders to look fit, but are hurting their body. What can I do to keep myself healthy? * Government Budget- I keep hearing about government budget cuts at the federal, state and local levels. Why is this happening and how does it affect me and my family, school, neighborhood, etc? What can I do? WHERE: Lao Family Community Development, Inc.
“Lao Family Community Development, Inc. is proud to host this Friends of Peralta Hacienda Historical Park exhibit, Embroidering Our Lives: Mien Women at Peralta Hacienda, which features beautiful photos, interpretive text, exquisite embroidery, and video of Laotian Mien women sharing their embroidery, gardening, and cooking skills with Oakland youth at Peralta Hacienda Historical Park. A group of Laotian Mien women have found footing in the park’s community garden, after fleeing their homelands in the mountains of Laos, living as refugees for many years, and finally, immigrating to the U.S. In the exhibit, you can read the women’s own words, telling about their lives and traditions, and see them sharing their culture and arts with youth at Peralta Hacienda Historical Park. As they garden, cook, and embroider, they communicate a sense of who they are, and their history and culture, to children of many cultures.